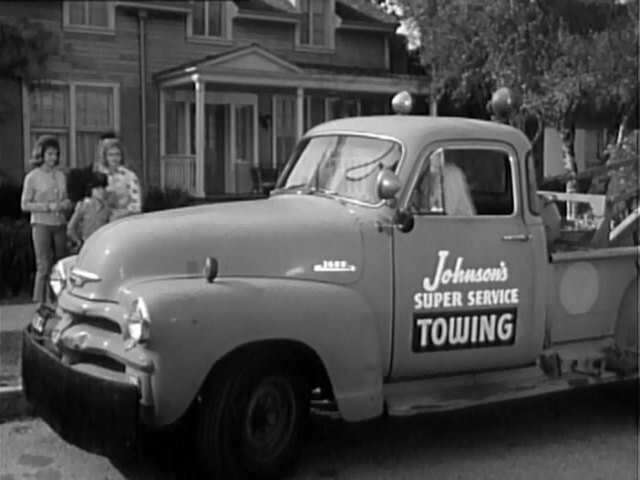 IMCDb.org: 1954 Chevrolet Advance-Design 3600  in "The Donna Reed Show, 1958-1966"
1954... I think that says "3600" on the hood. I'd honestly expect something like this to be a 3800. 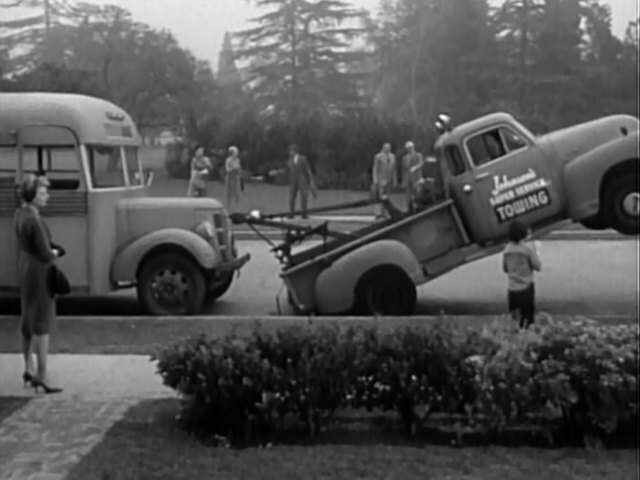 What the hell are they towing to make that happen? 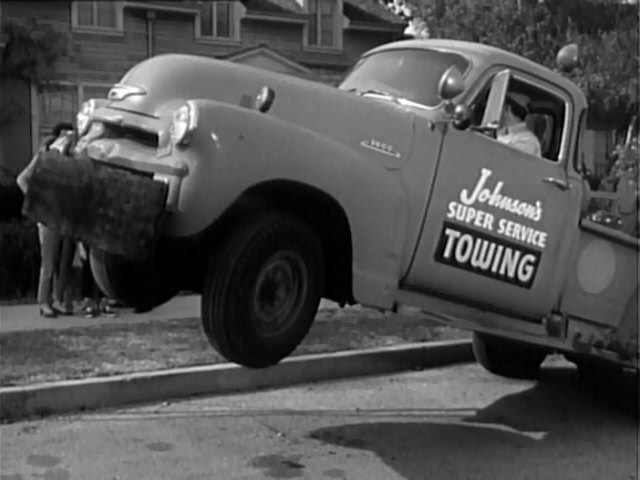 I remember an newspaper article from the early-1970's about an accident on the Long Island Expressway that caused a much heavier tow truck to do the same thing trying to pick up a cement mixer that tipped over. 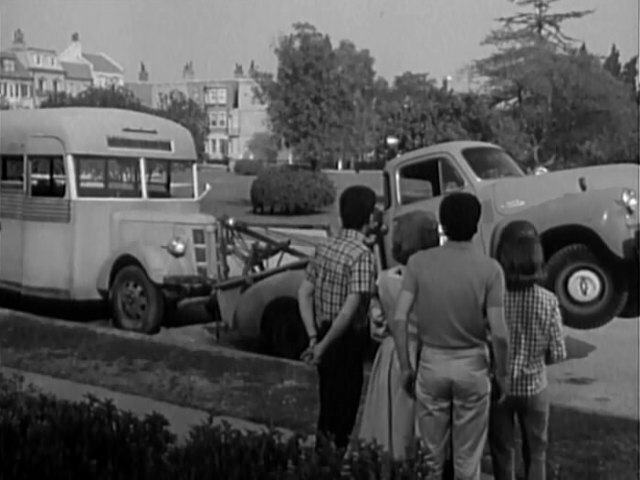 It's trying to tow Jeff's bus, which broke down in front of the Stone house on the day Mary had a major party planned. The tow truck driver refused to admit his truck couldn't lift the bus until this happened, with hilarious results. 1954-55 cab and grille, but 1954 only hood side emblem from the 1947-55 Chevrolet Advance-Design trucks line. 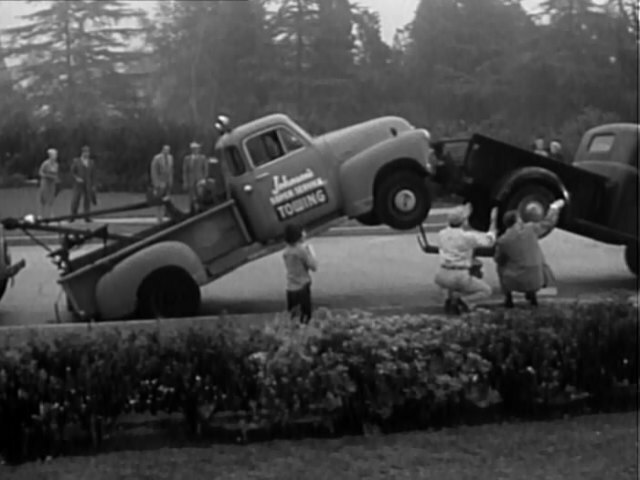 A 3600 tow truck, but obviously made on a pickup bed, which means a 3604 Chevrolet internal code.